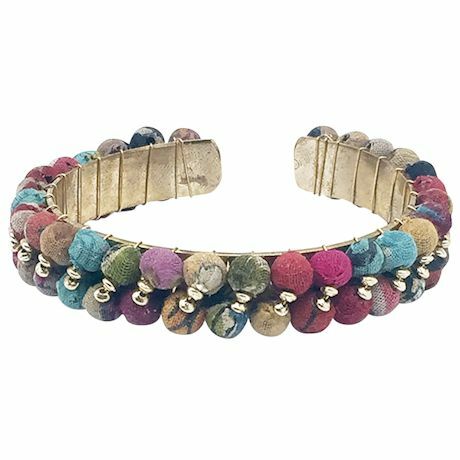 Beads are recycled Kantha cloth wrapped around handcarved scrap wood and set-in weathered brass. Handcrafting jewelry helps women artisans in India lead better lives. Some variations will occur. ½" wide, adjusts to fit all.